There are many types of child care to choose from in New York State. 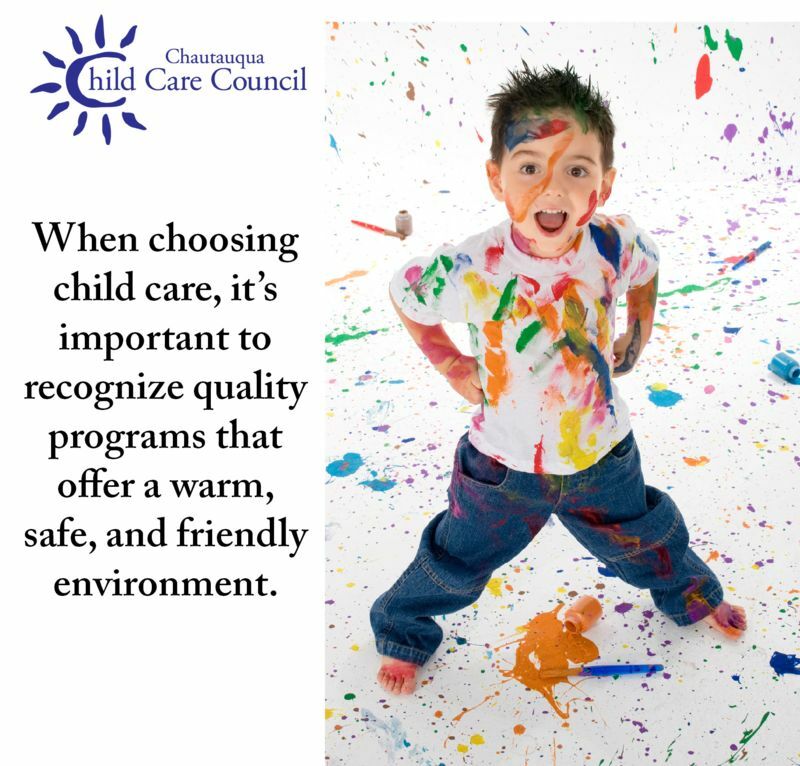 When choosing child care it is important to recognize quality programs which offer a warm, safe and friendly environment. Activities that help children to learn and develop are an essential part of a program. Parents are the best judge of their children’s needs and should choose the program that fits the families’ needs. Family Day Care Homes – provide care for three to six children at a time in a residence; may add one or two school-age children. The maximum allowable number of children will depend on whether there are and how many infants are in care. Group Family Day Care Homes – provide care for seven to twelve children at a time in a residence; may add one or four school-age children. The maximum allowable number of children will depend on whether there are and how many infants are in care. A provider must use an assistant when more than six children are present. Day Care Centers – provide care for more than six children, not in a personal residence. School-Age Child Care Programs – provide care for more than six children from kindergarten through age twelve. Care of children during non-school hours; also may provide care during school vacation periods and holidays. Nursery Schools – provide care for three hours a day or less. In New York City, the City Department of Health regulates these programs. A nursery school may voluntarily register with the State Education Department (SED). Pre-Kindergartens – usually located in public schools, but can also be found in private schools or day care centers; supervised by the SED. Head Start Centers – targeted for preschool-age children from low income families; federally funded and usually licensed as Day Care Centers. Legally Exempt Care – provide care for one to two children at a time in addition to the provider’s children, usually in the provider’s home; are not required to register.